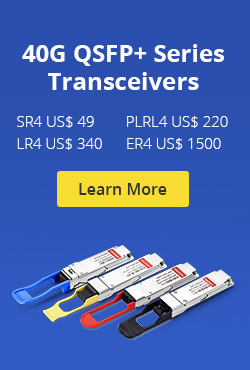 When you’re dealing with fiber optic patch cables in your network, whether your installation is small or large, simple or complex, your fiber patch cables have to terminate somewhere, so make sure you’ve got the right fiber patch panel solution designed specially to protect them. 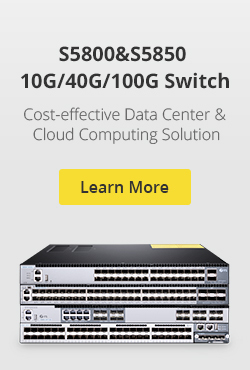 As we know, fiber patch panels are either for patching or splicing applications. For patching fiber patch panel, which can hold either fiber adapter panels (FAPs) or MTP cassettes. 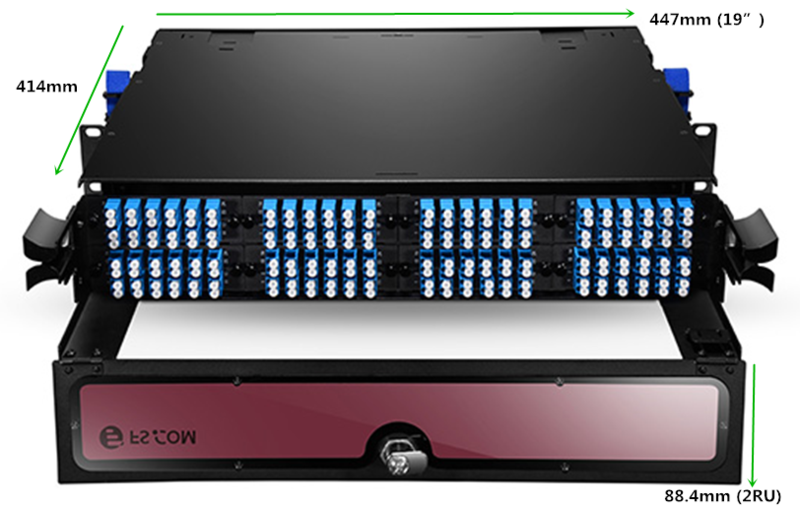 Usually, a standard 1RU rack mount enclosure can hold 3 LGX FAPs or cassettes, however, a high density 1RU rack mount fiber patch panel can hold 4 HD FAPs or cassettes, which efficiently optimize space utilization and save more cost in rack cable management. Fiberstore’s FHD series high density rack mount fiber patch panel, including 1RU (FHD-1UFCE), 2RU (FHD-2UFCE) and 4RU (FHD-4UFCE) types, are designed to hold both FAPs and cassettes and can easily mount in EIA 19-inch racks or cabinets, which provide a comprehensive line of fiber distribution enclosures that provide a high density flexible and modular system for managing fiber terminations, connections, and patching in data center application to maximizing rack space utilization and minimizing floor space. HD FAPs is an unloaded 1RU rack mount fiber patch panel that can support either 4 FHD fiber adapter panels or 4 FHD MTP modular cassettes, up to 96 fibers. 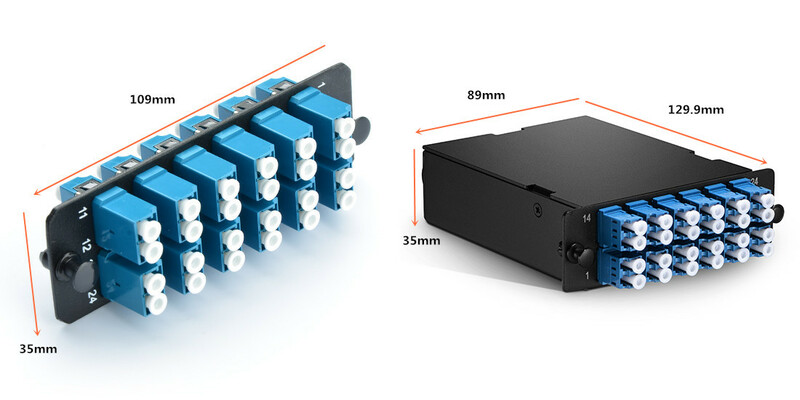 Inside the fiber patch panel, you can install either slack spools or splice trays for patching applications or splicing applications, which provides a complete system solution for connectivity. As shown in the figure below, its size is 44.4mm(H)x483mm(W)x457.8mm(D). Besides the FHD-1UFCE, we also provide pre-loaded 4 FHD fiber adapter panels fiber patch panel. 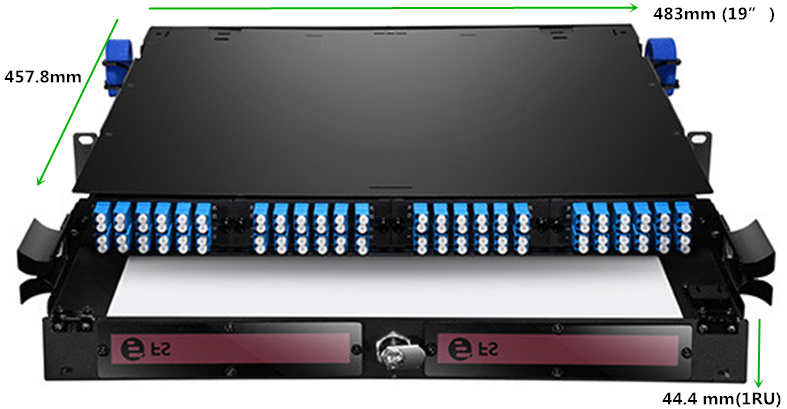 FHD-2UFCE is an unloaded 2RU rack mount fiber patch panel that can support either 8 FHD fiber adapter panels or 8 FHD MTP modular cassettes, up to 192 fibers. Inside the fiber patch panel, you can also install either slack spools or splice trays for patching applications or splicing applications, which provides higher patch field density in fewer rack units saving valuable space. As shown in the figure below, its size is 88.4mm(H)x447mm(W)x414mm(D). 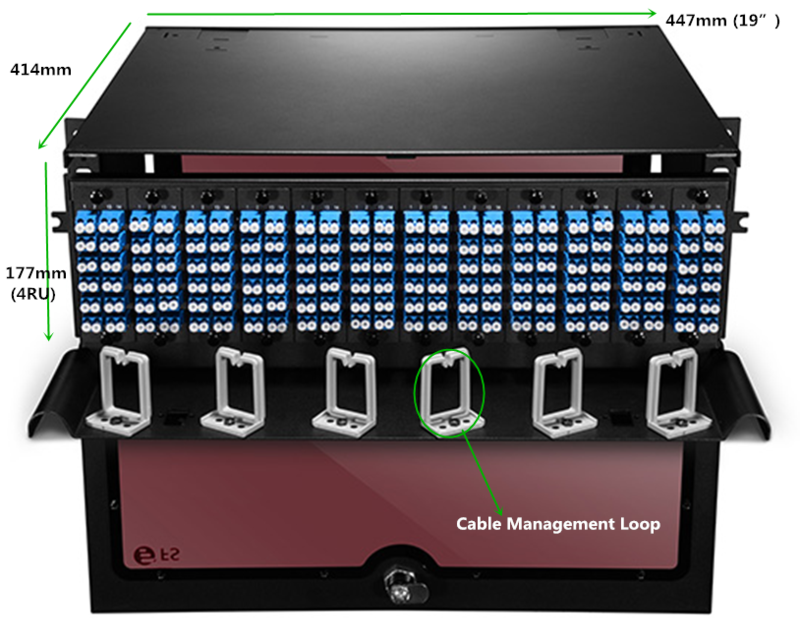 FHD-4UFCE is an unloaded 4RU rack mount fiber patch panel that can support either 12 FHD fiber adapter panels or 12 FHD MTP modular cassettes, up to 228 fibers. Splice tray, cable management loops and slack spools accessories of FHD-4UFCE are simple, which assures flexibility and ease of network deployment and moves, adds, and changes. As shown in the figure below, its size is 177mm(H)x447mm(W)x414mm(D). No matter where your cabling is, or what function you need your fiber patch panel to deliver, FS.COM has the ideal fiber patch panel solution. Our fiber patch panels are available in any configuration and feature industry-leading port density. Both rack mount and wall mount fiber patch panel for single-mode and multimode applications are available. All fiber patch panels are highly adaptable and easy-to-configure design, holding FAP Adapter Panels or MTP Cassette with superior cable management, port identification, fiber accessibility and security. This entry was posted in Fiber Patch Panel and tagged cable management, fiber patch panel, rack mount fiber patch panel on September 26, 2016 by Alice.Gui.